4.1% deep amber colour with a thin head, malty aroma, taste is malty, caramel and woody, anther nice bitter from Adnams. 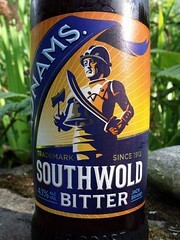 IMO, Adnams is one of the best real ale breweries. Adnams Broadside is a beautiful, soft yer full-bodied ale.